Open/Close Menu Saving lives is most important thing! Very often our bad mood is explained by colds , weaknesses or simply by age. The number of activities that we perform every day and the pace of life these days means that we do not pay attention to the signals that our body sends. 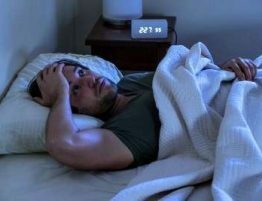 The most common symptoms of blood disorders, such as sweating at night, weight loss or fatigue are confusing for us, meanwhile according to the National Cancer Registry over the last thirty years, the incidence of cancers of the lymphatic and hematopoietic systems has more than doubled. Diseases of the hematopoietic system and blood can be quite mild, but sometimes the changes are very serious and can even lead to the death of the patient. Blood plays an extremely important role in our body. When it is healthy, the internal organs are in good shape and well nourished, and our defense system works well. Blood disorders, generally speaking, arise from the abnormal formation of morphotic elements (red blood cells, platelets , white blood cells) that lead to their deficiency or excess. The basic diagnostic test is morphology , which allows to assess individual parameters, such as hemoglobin level , platelet count, T lymphocytes , hematocrit , MCV or granulocyte fractions. Diseases of the blood and hematopoietic system (hematological diseases) constitute an important group of diseases. These include, among others: anemia , granulocytopenia and agranulocytosis , cancer (including Hodgkin’s disease , non -Hodgkin ‘s lymphoma, leukemia and others), haemorrhagic diathesis. The research of blood diseases is done by the medicine department called hematology, which is usually manifested by disturbances in blood parameters. According to experts, each of us should perform blood counts at least once a year. In fact, although most of us are aware of the importance of this study, 43% of Poles do it much less often. Morphology is not associated with us as a study that allows you to detect more serious blood disorders. Only 19% of respondents indicated leukemia as detectable thanks to this study, only 17% of people indicated the possibility of detecting cancer, and only 5% indicated other blood diseases. The number of new cases in recent years has been steadily increasing, the forecasts are also not optimistic, because the aging of the population can be observed, which significantly increases the incidence of hematological diseases . However, this is not the domain of older people, there are about 1100-1200 new cases of cancer in children up to the age of 17, the most frequent of which is leukemia – a cancer of the hematopoietic system. It accounts for about 26% of all cancers in children. In fact, the first suspicion of cancer , based on an interview with the patient and the result of a morphological examination may already be a family doctor, or even give direction to further diagnosis. Unfortunately, we only go to the doctor only when it is necessary, for example when the pain is impossible to perform everyday tasks, or when performing tests for work. It is worth performing a morphology, which is no longer present in preventive examinations, however, many employers also have it in the benefits package, in which case it is worth performing. 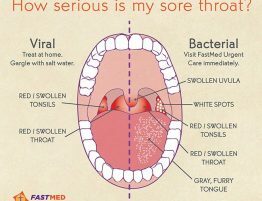 Symptoms of blood diseases are usually non-specific, may resemble viral or bacterial infections. Also recurrent infections that occur as a result of immune disorders may be a symptom of hematological diseases. In the case of this type of symptoms, it is worth going to the clinic and performing a basic morphological examination to rule out the existence of hematological diseases. The redness results from the excessive production of red blood cells, the patient suffering from it usually has a red or reddish color on the face, often has bloodshot mouth and conjunctiva . It can be caused by prolonged hypoxia as well as by bone marrow proliferative lesions. In the case of this disease, it is worth finding the primary cause of both hypoxia and changes in the bone marrow – in the first case you should treat the disease that caused this condition – the heart and lungs . If the patient is suffering from proliferative lesions , cytostatic drugs should be given. Anemia can result from blood loss, a deficiency of B vitamins, insufficient erythrocyte production or their accelerated decomposition, folic acid or iron . It can also result from bone marrow cancer. Treatment depends on the cause that caused this condition. It often happens that the problem disappears after implementing a proper dietrich in vitamins and iron. However, if the patient’s condition is serious, it may be necessary to have a blood transfusion or even a bone marrow transplant. It can have different characters. In myeloid leukemias, the production of leukocytes increases to a large extent, and their increasing number begins to displace other blood cells, including red blood cells , hence anemia usually also occurs in this case. We distinguish between acute and chronic leukemia. Therapy depends on the stage of advancement and the type of this disease. Combination therapy is the standard, i.e. bone marrow transplantation and chemotherapy. It is formed as a result of mutations in the gene that affects the conversion of fibrinogen to fibrin. The patient develops blood coagulation disorders. Only men suffer from hemophilia. There is no cause for bleeding in the joints and muscles , it can also lead to heavy hemorrhages threatening even life. Haemophilia patients receive medications that are designed to restore adequate clotting . Hodgkin’s disease (Hodgkin’s lymphoma) – most commonly suffer from it, young people, aged 20-30, usually men, involves cell proliferation , in the first phase in the lymph nodes, then, in subsequent stages in other organs. The first and characteristic symptom is the enlargement of the lymph nodes (usually the neck, but also the axillary and inguinal). 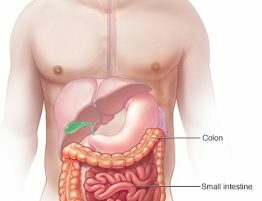 The symptom is also an enlarged spleen and liver , as well as night sweats, fever and weight loss. Prognosis taking into account cancer is good, in groups in the initial stage of the disease, up to 80% of cures are obtained. Non-Hodgkin’s lymphomas (non-Hodgkin) – the most common are elderly people, predominantly men. Genetic and viral infections play a major role here. We differentiate different types of lymphomas, including lymphocytic, centrocytic, and plasmacytic. They are malignant tumors , located in the lymphatic tissue, have worse prognosis as to cure them. Usually, the first symptom that patients report to the doctor are enlarged lymph nodes, as well as general symptoms – weight loss, sweating, fever. The blood test can occur anemia by reducing plateletand white blood cells. The diagnosis is made after viewing the enlarged lymph node under the microscope. The patient’s survival time from the moment of diagnosis depends on the stage of the disease. In the most advanced stage, the survival time is about 6-12 months. OB (erythrocyte sedimentation) – it is usually 10 mm per hour, when there is an increase, it may indicate an inflammatory process in the body or about cancer. 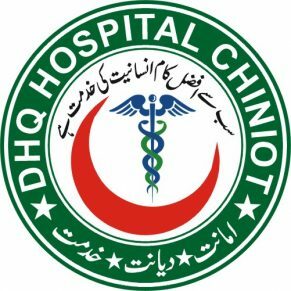 DHQ Hospital Chiniot is one hundred and seven (107) bed hospital and was constructed in 1962 as a Trust donated by a Land Loard Mr. Mian Sheikh Fazal Elahi. After his death City District Govt in 1978 took charge of the hospital and now it consist of latest machinery and equipments.